SELECT STUD BOOK MARES: must have three generations of fully pedigreed and graded warmblood parents(i.e. Pink Papers). They must score very highly in the grading and must be 15.3hh or above to qualify for this book. Imported mares already accredited with a State Premium, Verbands Premium, DH, Ster status etc do not need to be presented at WBS grading and may enter the WBS Select Stud Book automatically upon registration acceptance. Mares from the BHHS of full Elite status may also enter automatically on registration. Non BWBS/WBS mares will be overstamped and will be eligible for Select status on grading subject to meeting the above conditions and the recognition of their paperwork.Less than 10% of mares enter the Select Stud Book. MAIN STUD BOOK MARES: must have at least one graded parent and a full verified pedigree for three generations on both sides ( i.e. pink or some white papered mares). They must reach a suitable standard at the grading. If warmbloods, they must be above 15hh whereas non warmblood mares of Thoroughbred, or Anglo-Arab origin must be at least 15.2hh. TBA Green Papered Mares with 3 full generations of BWBS recognized and verified pedigree are eligible for Main Stud Book. GSB Registered (TB) Mares of 3 years of age or older which are a minimum height of 15hh are eligible for Main Stud Book. Weatherbys Registered (NTR) Mares of 3 years of age or older which are a minimum height of 15hh or more and have 3 full generations of BWBS recognized and verified pedigree may be eligible for Main Stud Book. PERMANENT BREEDING REGISTER MARES: must have one graded and recognized parent. The other parent may be only partially known or completely blank. They must reach a suitable standard of conformation and movement. Minimum height is 15hh. White Papered Mares with complete pedigrees, but containing unrecognised/un-graded parentage are only eligible for the Permanent Breeding Register. Contact: Mare Grading: Michelle Chambers - CLICK TO EMAIL Tel: 07923 153843. Mares not eligible for WBS Grading may be eligible for the British Sports Horse Mare Inspection (see separate entry form). All foals sired by WBS graded Stallions are eligible for registration and white papers, but mares only enter the Stud Book only after successfully attending Grading. 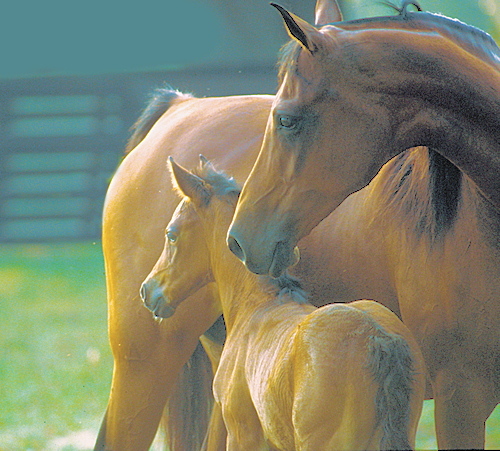 Since 1983 only foals with two graded parents and three full BWBS/WBS recognized generations can receive pink papers.Since 1986 foals conceived in the UK out of foreign graded mares not also graded into the BWBS/WBS Breeding Stud Book have been deemed to have un-graded dams and are therefore treated as such for pedigree purposes, grading etc. Some foreign mare are automatically eligible for entry into our Select Stud Book, while others must come forward for our grading before their progeny can receive pink papers. It is important to make sure your mare’s status is in order before applying for papers for her foal. Mares Outside These Categories which are proven producers of horses competing at top National Level and above will occasionally be eligible for up-grading/re-assessment at the discretion of the BWBS committee. The WBS reserve the right to refuse entry to a Stud Book if the paperwork is incorrect in any way. If any pedigree has been issued wrongly by the BWBS/WBS, the WBS will correct it an issue a new passport before entry into any Breeding Stud Book is completed. There are mixed views about the pros and cons of Mare Testing. We have already a Star System for mares who participate in Sport but we wish to extend this system to top young mares who are destined for a breeding career and whose performance under the rider can be assessed as a three, four or five year old. This practice is well established on the continent and enables owners of valuable young mares to start breeding from their investment at the earliest opportunity but, in addition, ensures that prospective customers are able to understand the ridden paces and ride-ability of this future dam. The mare performance test is in addition to the normal studbook inspection where marks are allocated for all aspects of type and conformation, paces and elasticity. The additional elements comprise loose jumping, a ridden exercise in groups of three or four under the normal rider and then a final ridden assessment by a test rider. In the jumping section marks are allocated for scope and technique, in the group ridden assessment marks are given for walk, trot, canter and ride-ability, and the test rider then gives a second score for ride-ability. The advantage of this format which, incidentally, is designed in the most horse sympathetic way, is that it gives additional exposure to jumping mares, it allows the canter to be assessed and it provides an indication as to the temperament and trainability of the horse. All mares undertaking Performance Test must also be entered or have already undertaken Studbook Mare Grading. With the achievement of sufficient marks at the age of three, four, or five years, the mare will achieve her First Star status. If you would like advice on preparation for this year’s mare performance tests please contact our Mare Grading Secretary. All achievements must be by a suitable age and at a qualifying level. All mares presented for Grading will be assessed on the triangle for various points such as correctness, overline, fore legs, hind legs, walk, trot etc. and marked for each point on a scale of 1 - 10 (10 being excellent). These marks and bloodlines of the mare will decide which section of the Stud Book she enters, or whether she fails. In addition, all mares appearing at Grading must have been measured for height, girth, bone using the veterinary certificate supplied to mare owners on receipt of the entry form. Entry fees will be returned on mares failing the minimum height. The WBS stresses that a Warmblood mare greatly increases her value and that of her foals by being graded and encourages every owner of an un-graded Warmblood mare to send her to Grading along with any other eligible mares. An entry form for each category of mare accompanies these rules. When completed, this form should be returned along with the mare’s original papers or passport to the Mare Grading Secretary not later than three week prior to the Grading date. Please note that the Bone, Height and Girth measurements may be taken by the owner and the owner’s signature is required on the entry form. The entry will be acknowledged automatically on receipt. Please do not send the Mare Grading entries to the Show Secretary’s address as they are dealt with by a separate office Times for individual and group assessment times will be given to the owners. Please ensure that contact information is available and correct. Email is preferred. Once the mare has completed the mare grading process, her official papers or passport will be stamped with the result and returned to the owner along with a set of her marks. This process usually takes approximately 6 weeks. All Warm-Blood mares must be registered with the BWBS/WBS and have a WR number before entering the Mare Grading. Please contact the administration office immediately if you need to register your mare prior to entering her for grading. Please note that for reasons of time tabling and stabling accommodation, the total number of entries accepted for the WBS Mare Grading and the BSHR Mare Inspection together cannot exceed 70. it is therefore possible that a balloting out procedure will be used, which may apply to older mares without foals at foot, Warmblood mares without pure-bred pedigrees and/or thoroughbred mares. The Organisers hold no liability for any accident, damage, injury or illness real or imagined, to horses, owners, grooms, spectators or any other person or property whatsoever. It is deemed a condition of entry to the WBS Mare Grading and the BSHR Mare Inspection that each entrant shall agree to indemnify the Organisers against any legal action arising from such an accident. Making an entry constitutes acceptance of these rules and binds an entrant to abide by them. Any breach of these rules will be brought to the attention of the WBS Committee and could result in disqualification and a possible fine of £100 to the owner of the horse in question. The decision of the Committee is final and there shall be no right of appeal. The ruling of the judge is final. The Organiser reserves the right to refuse entries and admission without having to state a reason for doing so. The Organiser reserves the right to either amalgamate or divide classes without notice. Times for classes, given in the Show Programme, are approximate and it is the ultimate responsibility of the exhibitor to check on the day if their classes are running earlier/later, and to be ready 15 minutes before the class commences. Although it is necessary to be a member of the WBS to register horses with the Society, it is not compulsory to be a member to exhibit at this show. Only stock registered with the WBS may be exhibited at this show and entries must include a BWBS/WBS registration number (i.e. the WR number) in the appropriate column on the entry form. 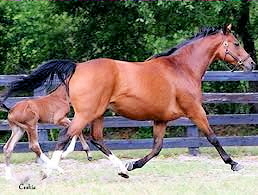 Any foal without a WR number will not be allowed to enter the show. Owners of late born foals can obtain their number from the Registration Office by telephone, but only if their passport has been processed. For further information regarding registration and membership please contact the Administration Office. No entries without the correct fee. A limited amount of stabling is available. This will be allocated on a first come first serve basis. Booking for stabling must be made on the appropriate part of the entry form and must be pre-paid in full. There will be no refund of entry fees or stabling for any withdrawals made 10 days prior to the show. Numbers will be available for collection on the morning of the show. All mares registered with the WBS having white of pink papers (or recognised foreign papers) and being three years of age or over, are eligible for entry to Mare Grading. 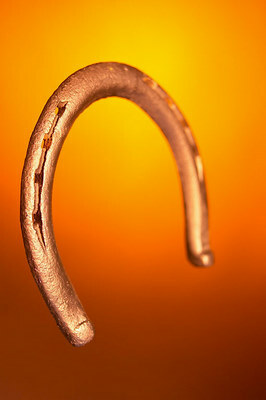 All warm-blood mares reaching Select Stud Book status will reappear for the awarding of Gold, Silver and Bronze medals. It is at the judges discretion to award some or no medals, depending on the standard and quality. In addition to this, there will also be a Mare Grading Championship between the top two warm-blood mares, graded Select in each Group. Some General Stud Book registered (TB, Wetherby’s, NTR and Anglo-Arab mares) are also eligible for entry to Mare Grading. Mares not eligible for BWBS grading who have been covered by BWBS or BSHR graded Stallions may be eligible for the British Sports Horse Mare Inspection. Non warm-blood broodmares may be entered in classes of the In-hand showing as appropriate and pending result of the inspection. Any such mares unsuccessful in grading or inspection will not be able to go forward for the showing classes and will have the entry fees for these classes refunded. All entries in Broodmare classes must have a foal at foot or be accompanied by a current certificate of service. Broodmares who have entered this show for the past two years without a foal at foot, will only be accepted if these mares are also accompanied by their foal. All foals appearing in show classes must be over three weeks of age on the day of the show. Should the judge require it, foals maybe shown loose. Entries for the Stallion Progeny Class are to be made by the Stallion owner concerned in consultation with the owners of the animals to be shown in the group. Entry fees and further details are included on the special entry form sent direct to the Stallion owners. (i) British-bred warm-blood horses having either pink or white BWBS papers. (ii) British-bred warm-blood horses having British pedigree papers issued by an organisation officially recognised by the BWBS. (iii)Warm-blood horses foaled abroad having foreign papers issued by a recognised foreign breed society. (iv) All non warm-blood broodmares i.e. TB, NTR, AA etc. graded into either the WBS or BSHR stud books. (v) Horses foaled in Britain before 199-, which carry foreign papers and brand but NOT horses foaled in Britain during 1990 or later, which carry foreign papers and brand. So far as possible, all in-hand classes will be judged ‘on the triangle’ in the normal continental manner. Handlers must dress in white or dark blue trousers, with either white or dark blue top (no logo’s please - except BWBS’ own). As particular attention will be paid to free forward movement, training/running shoes are advised. Incorrect dress will not be allowed in the ring. Horses must be plaited in the European manner using white tape. Double bridles and pelhams are prohibited in all sections of the show. Objections must be made to the Organiser. They must be made in writing and accompanied by a deposit of £25, not later than half an hour after the happening which gave rise to the objection. All objections will then be brought to the attention of the BWBS Committee. The deposit will be forfeited unless the objection is upheld or it is decided that there were good and reasonable grounds for the lodging on an objection. The decision of the WBS Committee is final. It is forbidden to compete with a horse which is found to have had administered to it any stimulant, sedative, pain killer, anti-inflammatory or any other substance other than the normal nutrient. The WBS reserve the right to test for any such substance. Positive results on a blood test will result in disqualification and a possible fine of £100 to the owner of the horse in question. A refusal to submit a horse for taking a sample for analysis shall constitute a breach of this rule.